Hey lovelies! 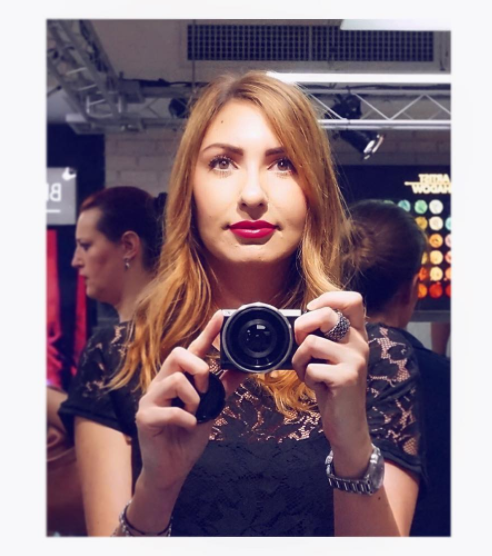 In this post I'm going to review the Sigma brushes Eye Kit. Before the review: I purchased these brushes more than a year ago, so I think I can review them quite well after testing them for so long. I haven't been paid for doing this and these are my own and personal opinions on these products... So let's move on to the review! Medium Angled Shading - E70 (I don't remember the old name since I've currently given this one to my mum after testing it of course!) - Angled, tapered, flat top. Ideal to apply highlight shades underneath the eyebrow and on the inner corners. It can also be used for a precise application of darker shades on the crease area. Natural bristles. I say: this is a good brush. I agree with them that it's a multi purpose brush. The bristles are quite soft and I didn't find any particular problems with it. Small Angle - E65 (old SS266) - Essential for the application of gel or cream eyeliner on the upper and lower lash line. This brush is also excellent for filling out the eyebrows. Synthetic bristles. I say: nice brush I've used it particularly when applying eyeliner and I found it quite simple, although the very soft bristles made it a bit tricky. Large Shader - E60 (old SS252) - Flat shape is ideal for application of cream formulas and eye shadow primers. It also works great with loose eye shadows or pigments. Can be used to apply color all over the lid or precisely on the lash line. Natural bristles. I say: I LOVE this brush! My absolute favorite from the kit! I carry it everywhere I go and I use it for loose e/s, pigments and cream eyeshadows as well. Perfect shape and great quality! Pencil - E30 (old SS219) - Precise application of color on the crease, outer corner, and upper and lower lash line. Also ideal to smudge out pencil liner. Natural bristles. I say: this one's very good for what they already say, except from the lashline as application can be quite messy if you're not a pro. I think it's too soft for smudging to, but for applying the e/s in the outer corners and crease it's perfect! Tapered Blending - E40 (old SS224) - Rounded and tapered top. Specially designed to apply and blend color on the crease. Natural bristles. Eyeliner - E05 (old SS209) - An extra-fine tipped synthetic fiber brush that delivers a precise, firm, even stroke to line the eyes. I say: instead of using the E65 I use this one to apply gel/cream eyeliner and it's perfect for smudging too! I really like this one better than the angled one. Eye Shading - E55 old SS239) - Soft and dense with a rounded finish. Can be used to apply pressed or loose eye shadows and pigments. Ideal to build intense color on the eyelid. Natural bristles. 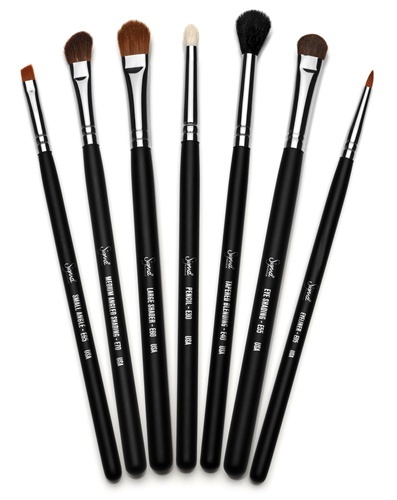 Sigma Makeup offers a free travel size E25 brush with this kit, which is a blending brush. I like this one too, even if I'm in love with the E40, this is a good alternative! Sigma nas also kindly sent me the travel version of ss239 and ss224 and of course the quality is the same: very good! 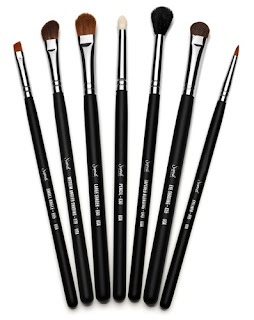 Moreover, being travel sized brushes, they're very useful to be carried around. SS239 is very soft and perfect to apply the eyeshadow on the lid, while ss224 (as I've already mentioned) is great for blending! After a so long and good experience with these, I'd be really curious to test the face brushes! Have you ever tried them? lat me know! You can purchase SIgma brushes online from their official website and if you follow the link you'll get the E25 brush as well if you place an order from them! That's all for now, hope this review was useful!